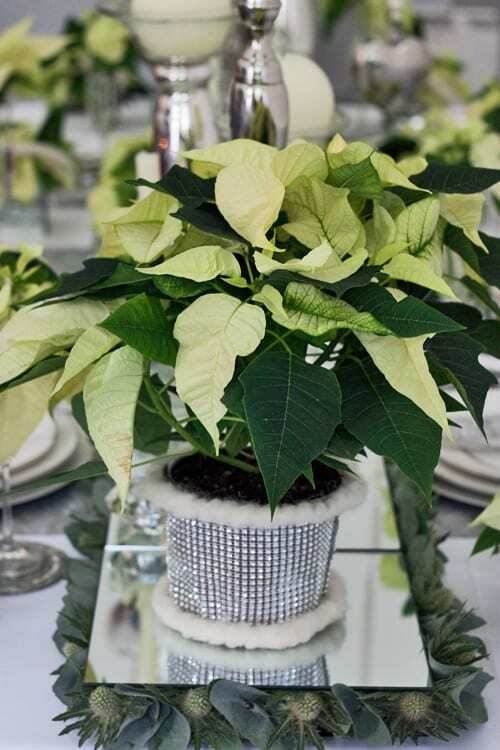 Today’s blog post features the third Poinsettia Christmas table design from the recent International Poinsettia Press Party which I attended. And it’s the turn of Wilmslow-based florist Ian Lloyd with his creation, ‘White Christmas’. 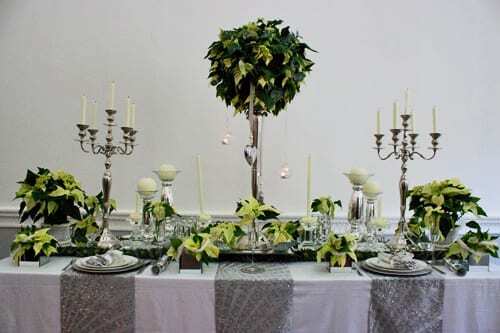 Symmetrical and opulence were the watchwords for Ian’s theme…a Winter Wonderland created using silver and glass, alongside white Poinsettias. 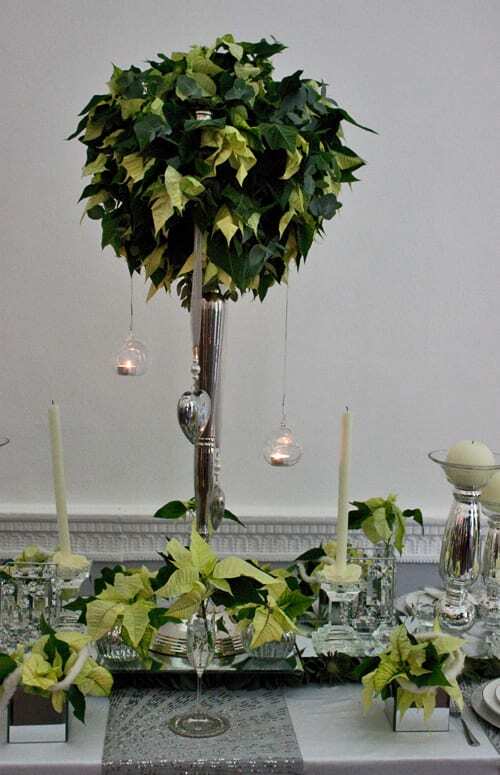 Again, as featured in Paula Pryke‘s and Rebel Rebel‘s designs, Ian used Poinsettias both as plants and as a cut flower. 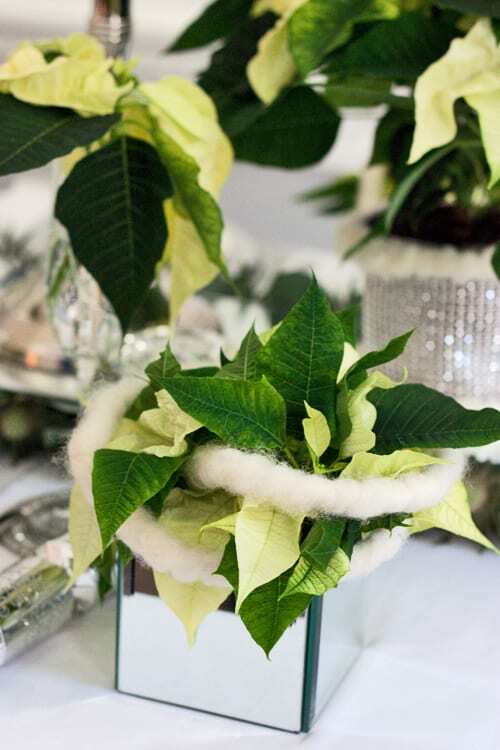 If you’d like to use Poinsettia as a cut flower, once you’ve cut off the stem from the plant, seal its end. You can do this either by running the stem over a candle flame or by submerging it briefly in boiling water. 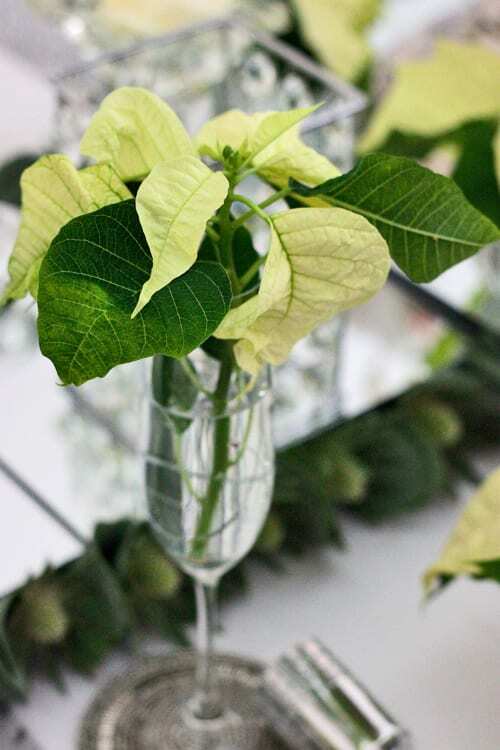 This stops the milky white sap from seeping out of the stem. 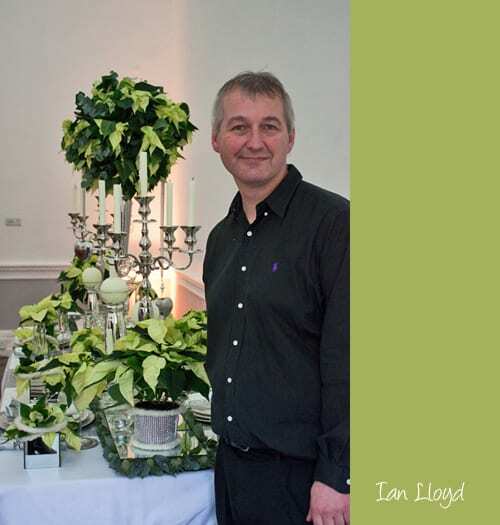 I hope Ian’s design has inspired you with ideas for how to decorate your home this Christmas.